I don't know how it is that I never saw an of Montreal show before last night but I'm now SO happy I finally saw them live! This wacky band from Athens, Georgia puts on 1 of THE most tripped out & FUN shows I've ever seen! 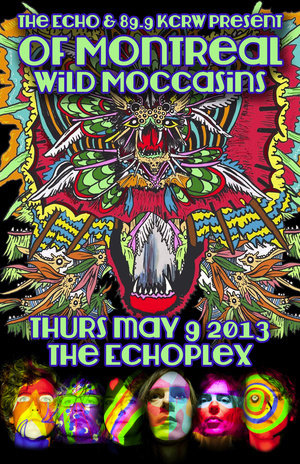 My concert buddy compared them to an odd mix of The Flaming Lips & Dr. Dog which is a fairly accurate description. Last night's show featured costumed characters dancing around the stage & riding around on each other's shoulders plus miscellaneous weirdos in face-masked unitards jumping out into the audience & crowd surfing. They're theatrical to say the least. And, antics aside, of Montreal's music is very unusual & awesome. Their lyrics, album titles & song titles are all super descriptive, odd & amusing. 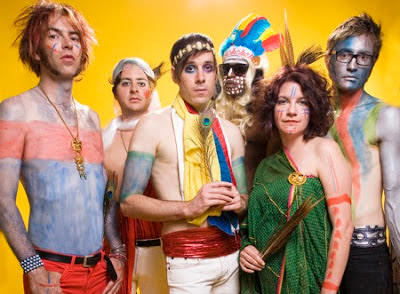 of Montreal is definitely a band you need to see live to truly be able to appreciate their art & creativity. 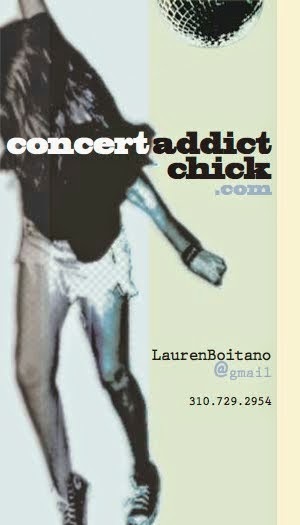 I highly recommend seeing them the next chance you get!